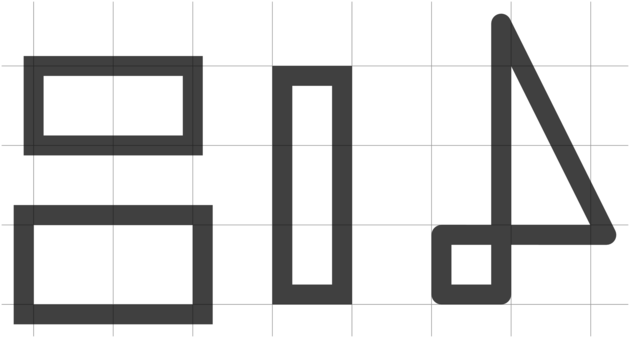 I'm looking for a more automated way to draw an area around a number of PStricks nodes. 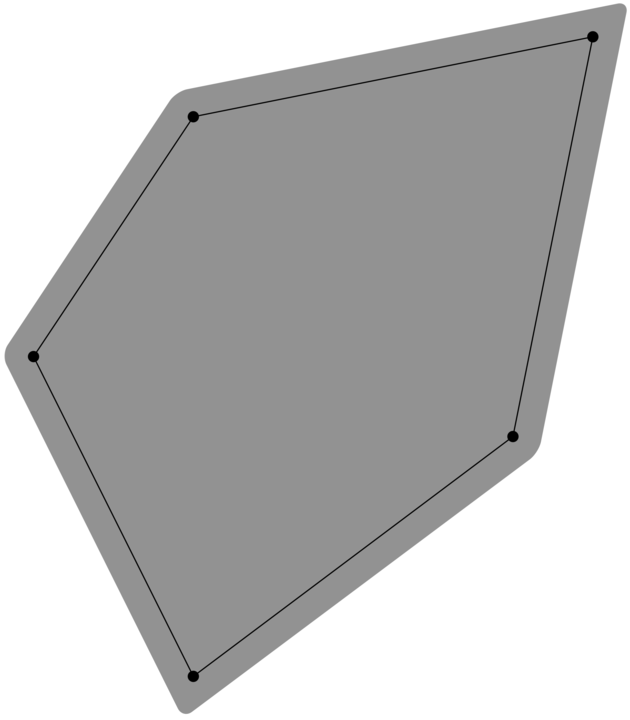 The area should be offset by a specific amount so that it will completely contain the vertices inside of it. 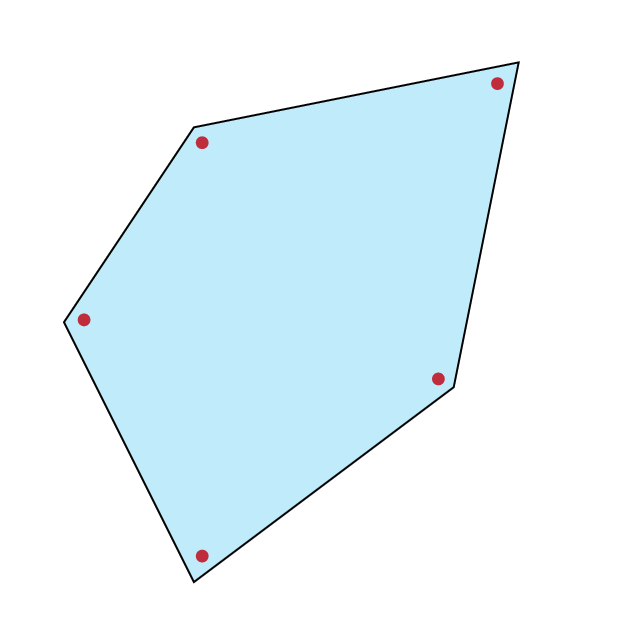 For example offsetsep=15pt will draw a polygon that is offset (outward) by 15pt, while offsetsep=-20pt will draw a polygon that is offset (inward) by 20pt. How about this? This part uses a semi-automatic method to calculate the centroid. I believe that you feel uncomfortable to remember the following notes as they are illogically defined so they waste your memory (in your brain). psframe, pscircle, psellipse, pswedge, psellipticwedge have dimen=outer by default. the radial sides of pswedge and psellipticwedge always have dimen=middle, they cannot be changed. pspolygon, psccurve, and \pscustom always have dimen=middle, it cannot be changed. psline, pscurve, psbezier, psarc always have dimen=middle, they cannot be changed. psellipticarc has dimen=outer by default. This part still uses the old method where the centroid is manually calculated. Just for fun (cough) with TikZ (and PGF decorations). The biggest part of the decoration code has already been provided by Mark Wilbrow in his answer to Draw additional parallel paths in TikZ. His decoration contour lineto works very fine but doesn’t deal with closed paths. To work around this issue, the angle of the first segment (here (A) -- (B) is saved in \pgf@decorate@firstsegmentangle and later used if the input segment is a closepath/-- cycle. would have been fine but this point would lie on the outer side of a contour polygon that lies inside the original path. I don’t know a way to access the last segment’s angle to correct this in the very first state for the first segment. 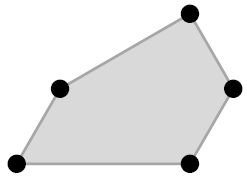 As a work-around the actual first segment of the contour line starts halfway between the first points (here, halfway between (A) and (B)). If the option rounded corners shall be used on the decorated contour line, the contour option (and rounded corners) has to be included in a pre- or postaction. How do I have to invoke \expandafter for a macro with multiple arguments? How to draw a double-color line with TikZ?